The Shenzhen Global Design Award is organized to recognize and reward outstanding designers with creativity, vision, foresight, and influence. It also aims to enhance the exchanges and cooperation among all designers from different countries and inspire the industrialization of designs as well as the promotion of design thinking. While its most eye-catching feature is the total prize now increased to 10,000,000 CNY, SDA strives to brand and promote the winning designs and their authors through various activities, such as tour of exhibitions, constant media coverage, etc. Thus, SDA will become one important and effective window through which overseas designers and design institutions could enter the huge Chinese market. 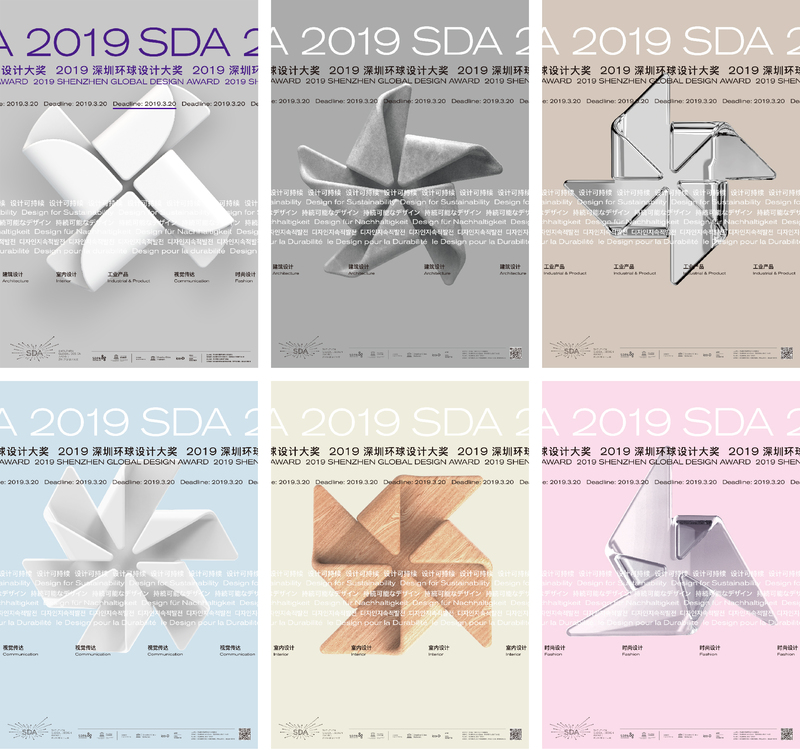 The second Shenzhen Global Design Award (SDA) is now calling for entries and it has expanded to 5 design categories: Industrial & Product / Communication / Architecture / Interior / Fashion. Based on the success of the inaugural SDA, the second edition is hoping to allow more talented designers and creatives to join the community, connect with the market, showcase their talents, and improve their professional skills. This year’s SDA establishes 96 awards in total, one Special Award for Sustainable Development for all categories, one Gold Award/three Silver Awards/five Bronze Awards/ten Nomination Awards for each category. Online registration and submission is open to the public from 8 January 2019 and will close at 5 pm on 20 March 2019 (Beijing Time, GMT+08:00). Final judging is scheduled on 30 March 2019 and the Awards Ceremony will be held on 19 April 2019. The city of Shenzhen cordially invites designers from around the world to enter the second SDA and looks forward to seeing excellent project from you!